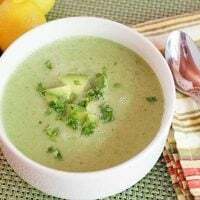 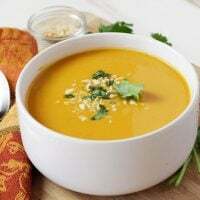 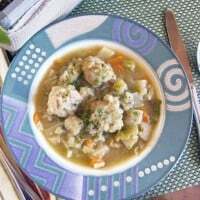 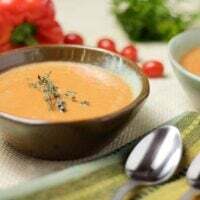 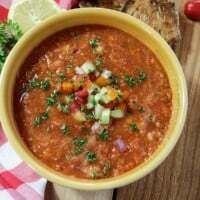 This is absolutely one of my favorite soups and so easy to make. 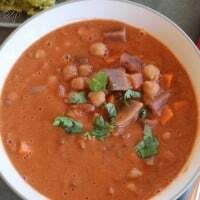 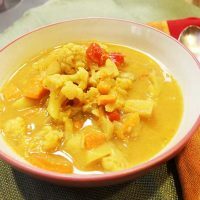 It’s warm and comforting while providing a great burst of plant-based nutrition with cauliflower, yams, red peppers and garbanzo beans for a little protein. 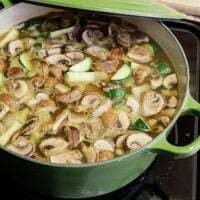 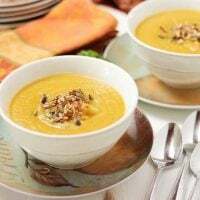 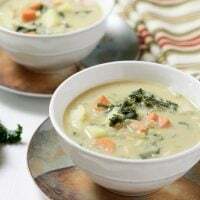 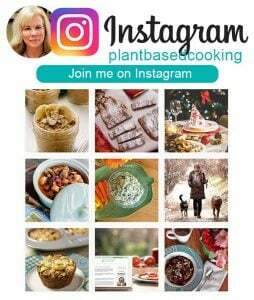 A great way to easily eat a lot of vegetables is to make a soup or stew that you can then keep for days and eat when you feel hungry. 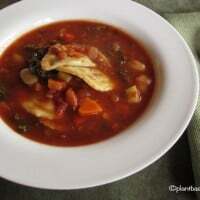 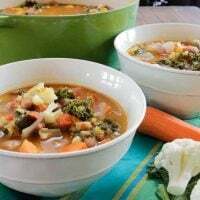 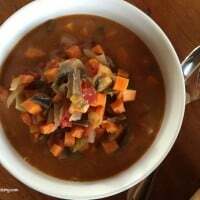 This hearty vegetable soup hits the spot! 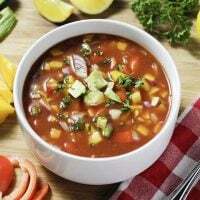 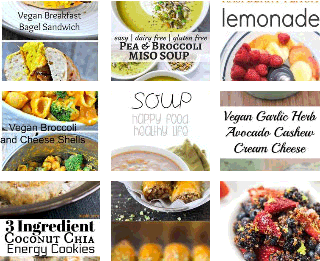 Combine that with a salad every day and you’re rockin’ your plant-based diet. 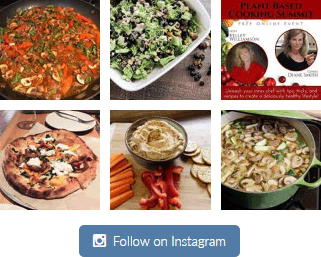 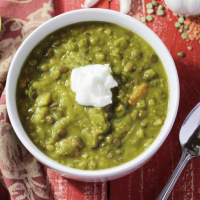 This soup was inspired by a recipe from Dr….